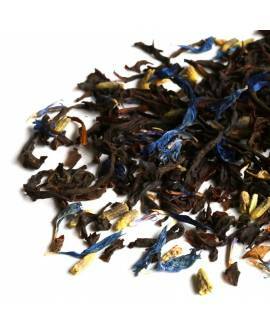 For black tea lovers we have sourced some incredible loose leaf black teas with unusually rich and aromatic flavour profiles. 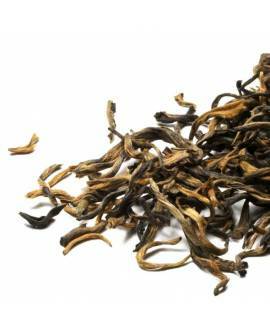 One of our best teas from Nepal, Golden Tips black tea, is made of very young tea shoots consisting of just one bud and one young leaf. 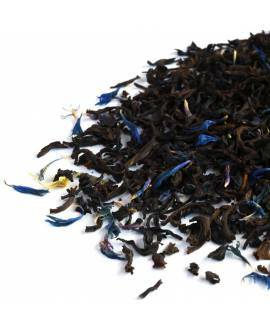 This is the highest grade of black tea available and this particular tea delivers very rich, complex and aromatic liquor with an exquisite flavour of chocolate and caramel. 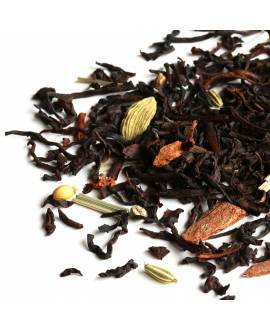 Black tea is a fully oxidized type of tea and the tea liquor tend to be full-bodied, robust and somewhat astringent. 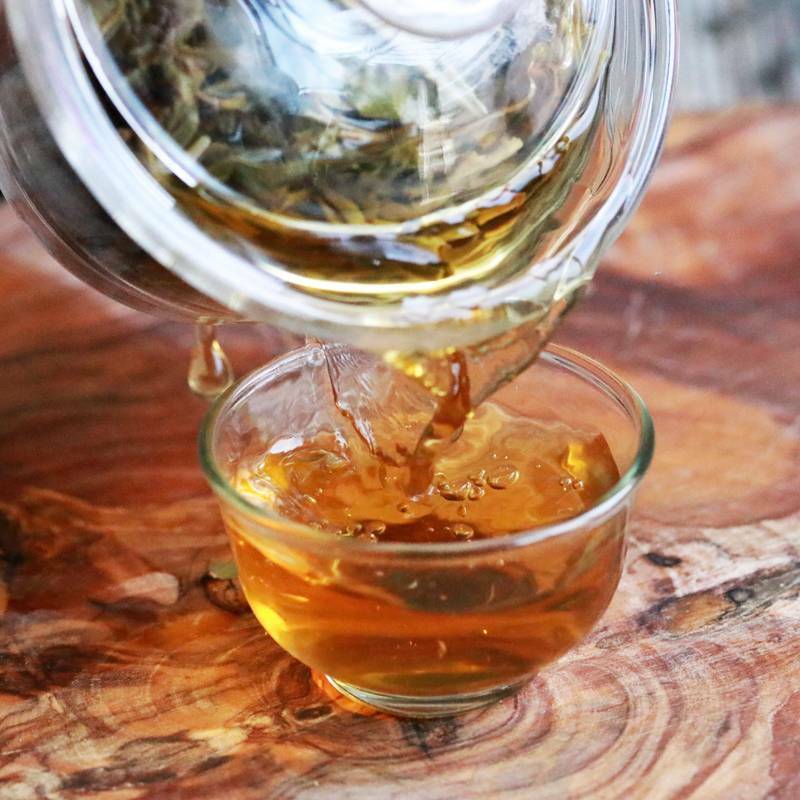 Nevertheless if a plant grows at high altitudes, the tea leaves, when processed as black tea, will develop more delicate and aromatic tasting notes. 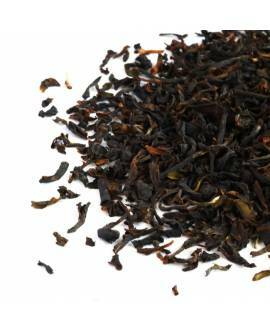 The oxidation process is a key stage in the production of black tea. It allows the polyphenols to oxidize with the help of enzymes, thus developing the characteristic notes of fruit, spices, chocolate, etc. depending on the growing area, plucking standards or processing methods. 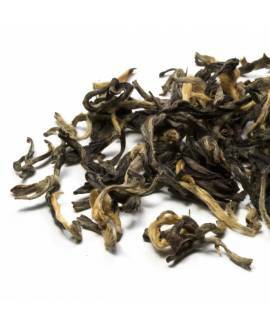 Finest gourmet black teas are always hand-picked and consist of a bud with a single tender leaf or two young leaves. Just after the tea leaves have been harvested, they are spread out in shady sunlight or indoors to allow some of the water to evaporate from the leaves (this process is called “withering”). 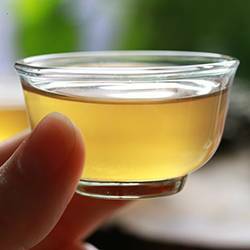 The tea leaves are then rolled to cause the enzymes in the tea leaf to react with oxygen and thus initiate the oxidation process. This enzymatic oxidation will continue until the tea leaves develop the characteristic color and intensity of a black tea. 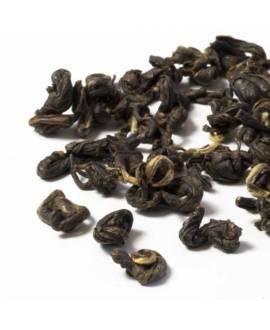 Whereas the tea leaves will turn dark brown, the buds (tips) of the tea plant may remain white or become golden, depending on the varietal or cultivar of the plant. 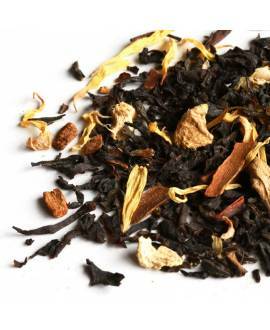 The complete oxidation of black tea is responsible for a number of unique chemical changes which, according to recent studies, have been proven to provide a variety of health benefits, including cholesterol absorption and prevention of cardiovascular disease. All our black teas are carefully packed into sealed bags to preserve freshness, quality, and therefore the health benefits of our loose teas. 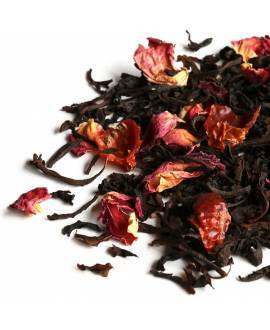 You can order a black tea sample of 5g or chose between packets of 25g, 50g, 100g or 250 g. The higher the quantity, the bigger the discount you will receive for your loose leaf tea purchase. This is because the packaging cost is very high, so the larger the quantity of tea you buy, the more money you will save on packaging.